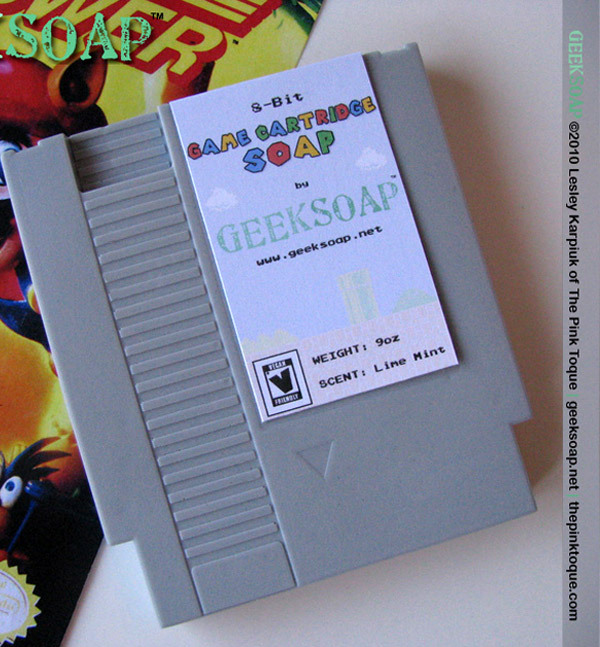 Nintendo Cartridge Soap: Why is My Console Foaming? 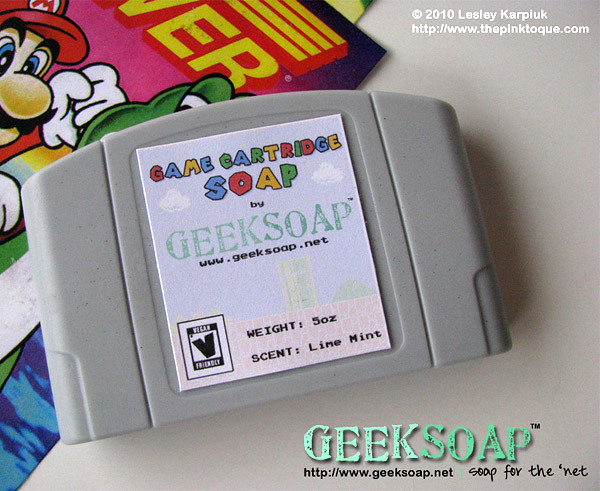 Gamer geeks, keep yourself nice and scrubby in the shower with one of these fun soaps designed to look just like classic Nintendo console cartridges. 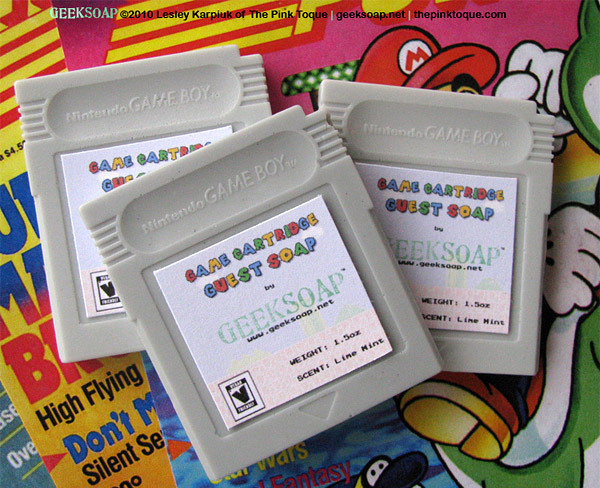 GEEKSOAP makes these fun soap bars that look exactly like carts from the NES, N64 and Game Boy. I suppose the reason there are no Gamecube or Wii versions is that those would be some awfully thin bars of soap. They sell for between $2 and $6 bucks a bar, and are available in lime mint scented or unscented versions. 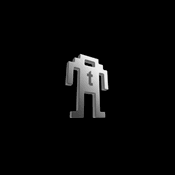 Just don’t try and actually plug these things into your console – unless you need to clean out your cartridge slot.